In my online career, I have found that the issues sparking the longest debates are almost invariably ecclesiological, i.e., questions concerning the identity, nature, and authority of something called "the Church." At one time, that surprised me. I do, after all, address a range of philosophical and political as well as theological topics, many of which are are objectively more basic and comprehensive than that particular branch of theology. Yet with the possible exception of abortion—where philosophy, religion, and politics all converge—it's ecclesiology that evokes the most passion around here and in that part of the blogosphere I frequent. At the end I'll say why I think that is. But at the moment I'd like to focus on the latest ecclesiological twist in the news. At the end of its recent term, the U.S. Supreme Court "...left standing a lower court ruling that will allow an Oregon man to try to hold the Vatican financially responsible for his sexual abuse by a priest, if he can persuade the court that the priest was an employee of the Holy See." For the legal details of the case, you can start by consulting the CNA story I've quoted. Legal eagles will doubtless know where to find the actual texts of the lower-court decision. Now as a decided non-lawyer, I find my eyes glazing over when faced with most legal questions. What interests me about this case is something I've observed in other recent developments at the interface of religion and politics: the idea that it's somehow up to the State to address ecclesiological questions in order to discern and carry out what is just in the civil sphere. In the U.S. today, the organ of the State most often involved in making such decisions is the judiciary. They don't do a good job of it: the incoherence of church-state jurisprudence in America since the 1940s is widely acknowledged. But they sure keep trying. Of course there are people who think nothing untoward is going on with the present decision. If a victim of sexual abuse is to see justice done to him, then somebody has to be held accountable for the failure of justice to be done in the past. And if this were a case of negligence on the part of some corporation, NGO, or governmental body below the national level, there would be no question who would be liable. Under civil law, officers of such bodies can be held liable for negligence in their oversight and discipline of their "employees." The only exceptions are heads of state. Now in this case the negligence, if it that's what it was, was exhibited by clerical officials of the Catholic Church. Prima facie, the question seems simple: whether the relationship between a local American priest-and-religious and the Holy See is enough like that of employee-employer to justify treating the Pope like, say, the CEO of a multinational corporation rather than a head of state and his government, who are ordinarily immune from prosecution. Even the Obama Administration has taken the side of the Vatican in this one, arguing in a brief that the case does not call for making an exception to the usual rule of immunity for heads of state. You won't find me disagreeing with that. Yet given that the Supreme Court has allowed the present suit and decision to stand, it is now up to a U.S. District Court to determine whether the priestly perp was in fact an "employee" of the Vatican in the sense necessary to establish civil liability. And that's what troubles me. In general, the relationship between a priest and/or religious and their ecclesiastical superiors is not the same as that of employee to employer. The relationship between such parties is not really that of contracting with each other to exchange labor for material compensation, though that occasionally happens within the context of a larger and more fundamental relationship. But such an occasion does not seem to have arisen in this case. The plaintiff's attorney argues that merely functioning as a priest or religious makes one an "employee" of the Vatican in the legally applicable sense of that term. If that argument is allowed to succeed, then a secular government will be deciding, to a hitherto unprecedented extent, on the hierarchical nature of the universal Church. In effect, Erastianism will have become American law. King Henry VIII would be delighted. Some would think I'm exaggerating. To such folk, all that's at issue here is whether being a church leader exempts one from the ordinary legal requirement to turn suspected criminals under their authority over to the civil authorities. The pope, the bishops, and religious superiors were in authority over the priestly perp in question; ergo, they should be held legally accountable for their failure to do what they could and should have under the law. Now that actually holds at the local level. That is why many dioceses have had to make huge payouts to abuse victims for civil damages. But in this case, the argument assumes that the kind of authority that the Vatican has over priests and religious everywhere is enough like that of a multinational corporation over its employees to create a due presumption that the former should be treated like the latter. For without that presumption, the papacy cannot be held liable for failure to reign in the perp. So, if allowed to prevail, the plaintiff's argument would commit the United States to treating the pope as the CEO of Catholic Church, Inc.
What's disturbing here isn't just the falsity of such a belief. Even more disturbing is the appearance of such a belief within the wider context of belief among the Church's many critics. For most purposes, they don't want the pope to function as the CEO of Catholic Church, Inc. They don't want the Vatican to muzzle or dismiss priests and religious for expressing heretical views. They don't want the Vatican telling laity who procure or support abortion that they're excommunicated. They don't want priests refusing absolution to couples who contracept. Many, like the kings and nobles of old, want the very selection of bishops taken largely out of the papacy's hands. For most purposes, they don't want the Church to retain an exclusive right to decide which members to elevate, discipline, or expel. But when it comes to protecting kids, the Church has to be treated like any multinational that can fire or prosecute its people at will. And the scariest thing of all is that they see nothing inconsistent about that stance. They want the Church to have less authority than she claims, except when she doesn't claim it and they think she should have it. That's what I call 'secular ecclesiology'. It's an important aspect of what the present pope meant by the memorable phrase, delivered to the 2005 conclave, "a dictatorship of relativism." What the loyal citizens of that dictatorship want is for the Church to stop telling people what she thinks is right and wrong and instead conform herself to their ideas of right and wrong. At bottom, it's a question of authority: specifically, who gets to to settle disputes about the identity, nature, and above all the authority of the Church herself? That is the secular parallel to the formal divisions that have rent the Church since the beginning, but especially in the fifth, eleventh, and sixteenth centuries. 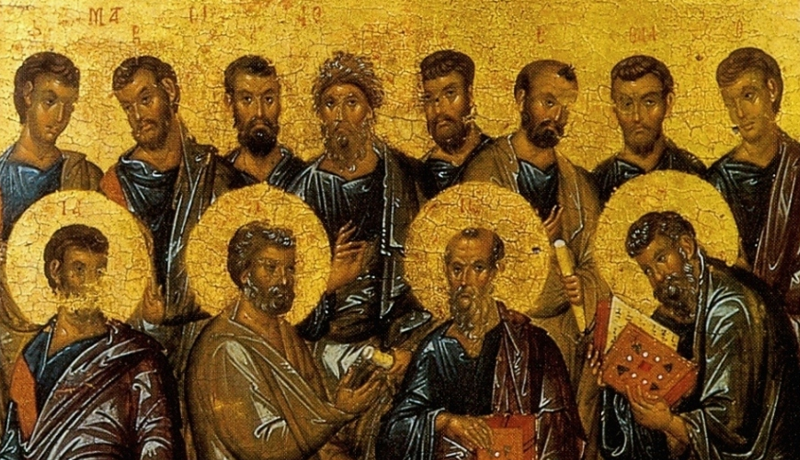 The underlying ecclesiological question when dealing with "heresy" and "schism" is always who has the authority to decide, in a definitive manner binding the whole Church, what's orthodox and, as part of that, where the fullness of the Body of Christ resides. The main reason I'm Catholic, as distinct from Protestant or Orthodox, is that I believe only the Catholic Church, as she understands herself, has that sort of authority. Christians who are not Catholics, of course, deny that she does—or they would become Catholics with all deliberate speed. But I suspect that the present-day depredations of secular ecclesiology are facilitated, in large part, by the collective failure of Christians themselves to resolve their ecclesiological divisions. If we can't agree on where to locate the divinely given authority of the Church, or even on who is "the" Church, then we're practically inviting the State to subordinate institutional churches to itself. That has always been a problem for the Catholic Church to some extent. It's been even more of a problem for Orthodox and mainline Protestant churches. This is not just a difficulty about how to relate religion and politics to each other. 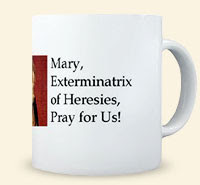 It's not even mere fodder for ecumenists. I believe that ecclesiology has the importance for Christians today that the great christological debates of the first millennium had for Christians then. The disputes then were about who and what Jesus Christ is. The disputes now are about who and what the Church is. In one sense, the Church is the pilgrim People of God; the Church Militant is not yet what she is called to be. But in another sense, the Church is Jesus Christ himself; for as his Bride, she is one Body with him in a mystical marriage to be fully consummated only when the Bridegroom returns. Both disputes, the christological and the ecclesiological, are about how God becomes visible in the world. It's about how the Word is made flesh. Whatever the answer to that question, it cannot be treated as a matter of opinion without being rendered merely political, and therefore idle. That is why Newman said: "No revelation is given, unless there be some authority to decide what is given." By that he did not mean that the Church, whoever and whatever that is, gets to decide for herself what the revelation from God in Christ is. He meant that, if we are to distinguish divine revelation from human opinion about what the "sources" thereof mean, then some visible and divinely established authority has to be able to settle doctrinal disputes in a definitive and binding manner. Whoever that is, it's not the State. But not for nothing did Chesterton call the U.S. "a nation with the soul of a church." It is here that the question will come to a head.